There's an interesting article on BBC news today about campaigning with a baby. 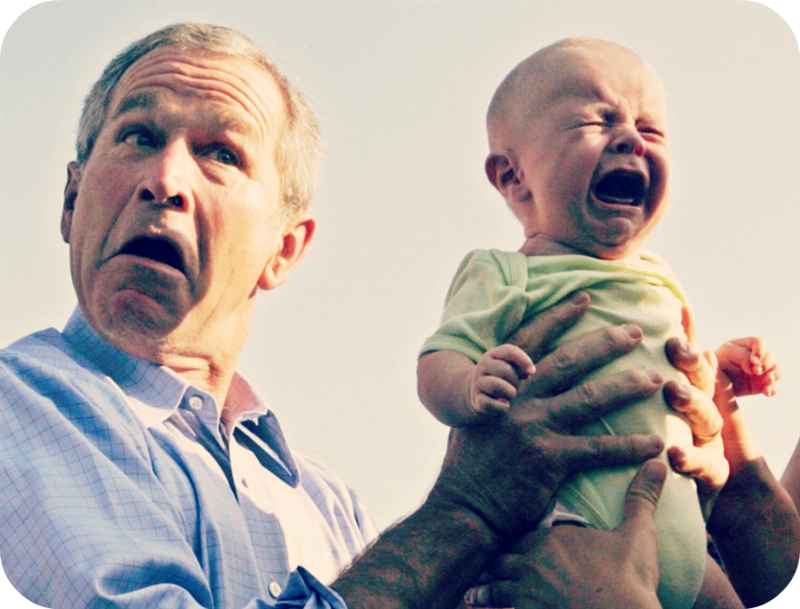 Your own baby, that is - the politician kissing infant routine thankfully being consigned to the past, more or less. It has way too much potential for disaster. Obviously council is a much lower level of elected politics, but some of the same problems still apply. Although council business itself takes place in the day, most of the outside bodies (school governors, charitable boards, etc) meet in the evening, which is also the preferred time for party business. On the one hand this is good as it accommodates people who are working during the day. On the other, it's bad because it's the time when your children are returned to your care from nursery, school, or their frazzled grandmother. I don't think it's in any way surprising that the majority of people who are active in local politics are either retired or male (or both). A quote from Sarah Richardson highlights another aspect covered by the article: "I think it's the selection process rather than the campaigning process where the reaction is different. If a male candidate turns up with heavily pregnant wife, everyone thinks he's a family man. Whereas if a woman turns up heavily pregnant, there are questions about how she's going to cope." By no means is that attitude limited to politics, of course, but I do think it has traditionally been exacerbated by the sub-par maternity rights. Without official maternity leave your seemingly unjustified absence is just making the institution and your party look bad. Because while politicians are making laws (or enacting them) on working rights, the idea that they are all - or perhaps all should be? - middle aged men of private means has meant that politicians themselves have often slipped through the gaps. It's all well and good that Sarah Richardson was back on the campaign trail within three weeks of giving birth, but what happens when nothing goes to plan? 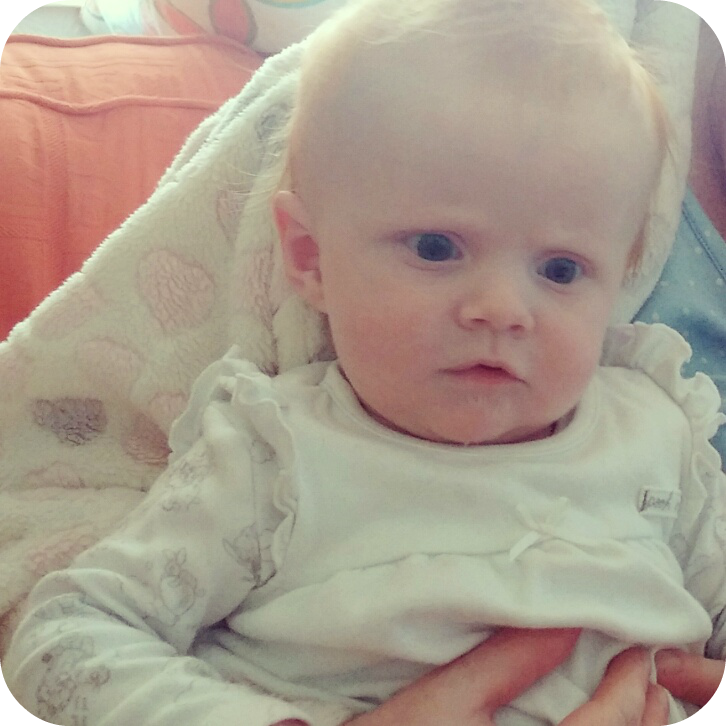 In my case three weeks in I still needed help to stand up half the time, and Marianna was still on SCBU (the special care baby unit). There has been change in recent years (e.g. Jo Swinson took six months leave, but still attended many votes - though that wasn't enough for Daily Mail readers, naturally), but I really hope MPs' parental rights get dragged into the modern age during the next parliament. 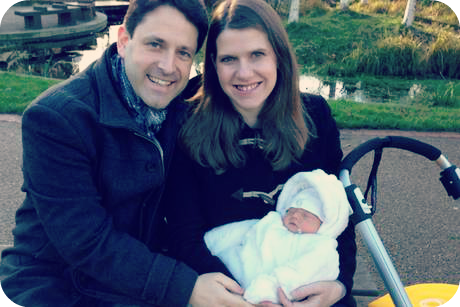 Jo Swinson MP and Duncan Hames MP with their baby son, Andrew. Comments in the press suggested if she couldn't cope with going back to work full time within weeks, she should step down - if a MP told any working mother they should quit their job if they weren't willing to be back at work within a month of giving birth there would be uproar! Back to things which affect those involved in politics across the board, the BBC article talked about those who take their children out canvassing with them. It's lovely in theory, but in practice perhaps not so much. Don't get me wrong, I've taken Marianna out leafleting, to seminars and to advice surgery without any problems... but she's still a baby. Would I be as happy to do it when she's old enough to understand what's happening? I really don't know. People on the doorstep can be aggressive, abusive, and sometimes downright disgusting. From the man who effed and blinded and ranted, to the guy who told me the best thing for the children of socialists was to be culled at birth, they make you question why on earth you're bothering. Why on earth anyone else should. At it's core it's this assumption that all politicians are scrounging scum, so their children, friends and spouses must also be guilty by association. But in a world where we routinely blame all women who leave their children exposed to public scrutiny - by whatever means - I fear it's going to take more than properly codified maternity leave to entice mothers into politics. Hehe, I first got into politics through lolitics, which was a really light hearted look at it all. It made it a bit more palatable! Interesting post and makes me sad reflecting on how many amazing women who happened to be mums (definitely my late mum and possibly me too) have not been enabled to contribute as they could have to politics. Oh wow I didn't realise that they didn't get maternity leave. It is such a mans system and you're right on the double standards which is horrifying in this day and age!